Count the blessings you have in your circle. Study the patterns around you and make changes as necessary. Those who can’t or won’t get away from the negative comments or put downs don’t need to be in your Universe. Let them go and move on. 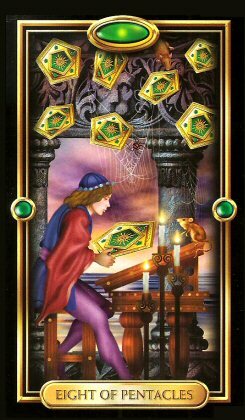 It’s time for banishing the unwanted negativity and cleaning house to make room for your positive growth and success. You’ve worked to hard not to move forward with joy. Tonight’s Blue Moon is a great time to review your current status, the situations you’re presently in and those energies that influence your world. The things you don’t like, that bring you down, that make you feel angry, uncomfortable or irritated need to be pushed aside so you can move on. You need room to grow! You no longer need the nay-sayers in your world. You’ve changed and your attitude is not the same as it used to be. So why are you keeping those negative people in your life who keep pulling you back into their darkness. It only attracts more struggle strife into your world. Do you really need more of that? Remember words have energy. The negative put downs, the disrespect of others and their views, the shallow comments about appearances and looks have no place in your Universe now. Everyone is the perfect reflection of the Divine in their lives. The spiritual beings before you are beautiful no matter what form they’re packaged in. Those jokes at someone elses expense are pulling you into a circle of negative thought and action. What goes around comes around. You sure that’s where you want to be? Do you know what they’re saying about you, behind your back? Time to take the next step and have a talk with those you care about who are still living in the past. Let them know how you’ve changed and what you want in your world today. If they can’t grow and overcome their negativity, then it’s time to leave them behind and move forward to better things. Offer to help them change. Point out how their negativity manifests in their world making it harder than needs be. Maybe they want to make a difference, but don’t know how. You are what you surround yourself with. If you want to be respected, then you need to give respect. If you want to be treated with kindness, you need to treat others with kindness. It doesn’t matter if those you’re talking down hear you or not. You’re putting the energy out there and surrounding yourself with it’s vibration. Make sure you’re cloaked in love and compassion and that’s what you’ll bring into your life. And into everything that comes back to you.